24ltr – Improve mains pressure. Pressure Tank set are designed to boost the pressure of the water supply and deliver the correct amount of water to all oultlets. the pressure vessel allows for smaller volumes of water. Without restarting the pump. Ultimatley improving the life span of the unit. Regulated power comsumption improved efficiency. Ideal for improving home mains pressure, was down systems, Irrigation water supply. System comes complete. Ready to go. 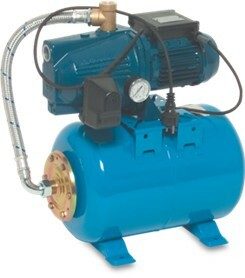 Foras JR series are self priming single phase pumps mounted to a 24ltr pressure vessel. 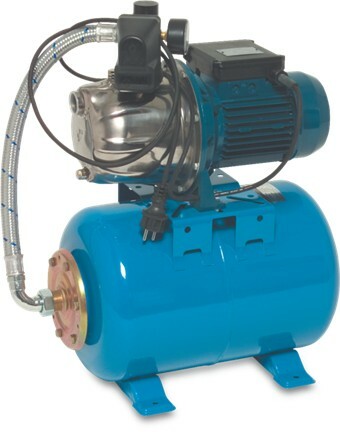 Self-priming centrifugal pump for water supplies in small household systems. Suitable for garden irrigation systems.